Is The Pruning Shear Thicker Or Thinner? Most of the Pruning Shear currently sold from the Garden Tool Supplier are not edged. If you buy them, you must use them first to sharpen them before you use them. It is best to use a pair of scissors. If the beginner doesn't know what type of scissors to buy, it's better to go to the store and try it out according to the actual needs. Choose a handy scissors. Don't buy anything casually. Cheap scissors tend to be thick and thick, not easy to cut, the blade is often easy to crack, the cut is easy to loosen, the branches are often cut, the cuts are not smooth enough, and the spring in the center of the handle is cut. Also often lost and lost. 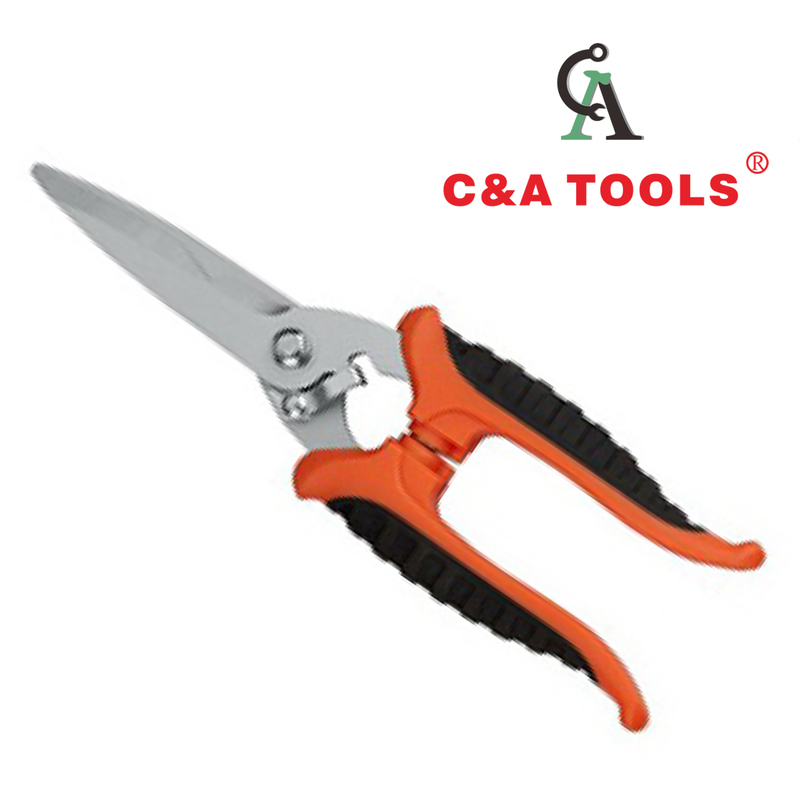 Ordinary pruning shears generally cut branches below 3 cm. When using the right hand to hold the scissors, use the left hand to push the thick branches in the direction of the small pieces of the scissors, and you will be able to solve the problem. Do not twist the scissors left or right, otherwise the scissors are easy. Loose mouth, the blade is also easy to crack. Previous Why Are Garden Scissors Curved? Next What Are The Advantages Of The Hex Key Set? Add: No.100 Wensan Road, Hangzhou, China.